March. Hum, still winter in Chicago. Still three months until summer begins. And still five months before tomato season begins. I don’t know about you, but right about now I start going thru (ok, really started after I ate my last homegrown tomato in early October) MAJOR real vine-ripened tomato withdrawl. No, do not tell me to just pick some up at the grocery store. Oh, you mean those unripe, ethylene-manipulated tomato imposters? No. Those. Just. Won’t. Do. 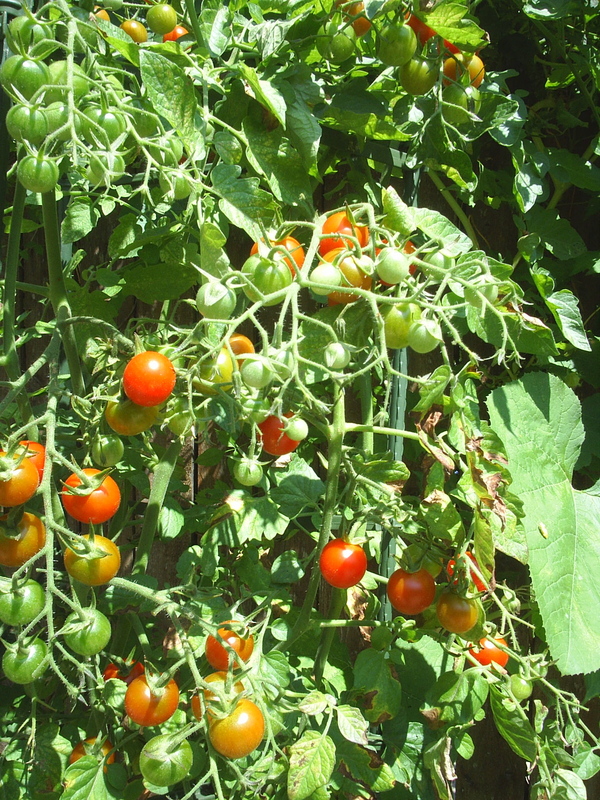 I will eat real vine-ripened tomatoes, from the farmers market, or from my backyard, during the season, until I have the worst acid-stomach, and acid-burned tongue, from all my fresh tomato over-indulgence. Now, ask me to eat the out-of-season, grocery-store variety, well you can forget about it. When I eat a tomato, I want to taste summer, not mealy, tasteless mush. Enough of my rant. 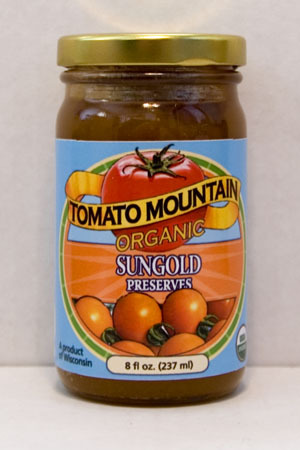 I have found the solution for us tomato loving purists…Tomato Mountain Organics. 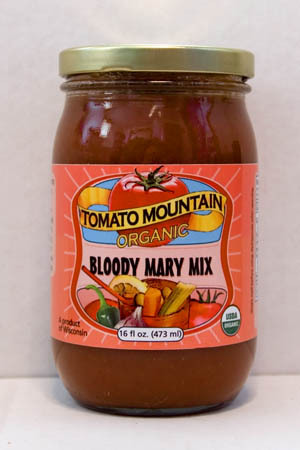 Growing, and harvesting the best, and ripest tomatoes (and other ingredients) and transforming them into what I like to think of ‘summer in a jar.’ Tomato based salsas, pasta sauce, soup, preserves, juice and wow, the best Bloody Mary mix, ever. Tomato Mountain Farm, located about a 2 1/2 hour drive north into Wisconsin, is not only the farm that organically grows all of the ingredients, and picks them at the peak of freshness, but they also process all of their jarred products, in their own processing kitchen…hence, why all of their products taste like jars of sunshine. p.s. speaking of winter markets, the next Green City Market takes place on March 12th. The next Glenwood Sunday Market is on March 13th , and the Logan Square winter market with continue every Sunday thru March 27th. Know of any other markets coming up? Post a comment. This entry was posted in To Market with Mo, Uncategorized and tagged Andersonville Farmers Market, Chicago Area farmers marekts, Chicago Farmer's Markets, Evanston Farmer's Market, Farmers Markets, food artisans, fresh seasonal organic produce, Glenwood Sunday Market, Green City Market, grilled cheese sandwich, moira's blog, sustainable, to market with mo, Tomato Mountain Farm, Tomato Mountain Organics. Bookmark the permalink.